The Asia Japan Alumni International (ASJA) recently concluded a short study trip for Southeast Asian students of the Japanese language last November 2 to 5, 2017 in Gunma, Japan. The trip was conducted in order to help students get to know and have a personal experience of Japanese culture. This time around, there were a total of 25 participants coming from different Southeast Asian countries such as Singapore and Myanmar just to name a few. One of their cultural activities during the trip was “箸作り”(hashi-dzukuri or chopsticks making) using a traditional Japanese wood planing tool called the “カンナがけ” (kanna-kage). 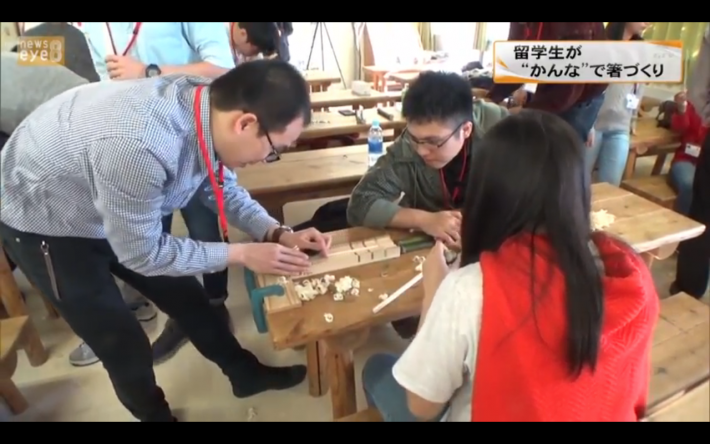 Watch how the students reacted to the experience and enjoyed carving and painting their own chopsticks the traditional way in this news clip from Gunma TV.